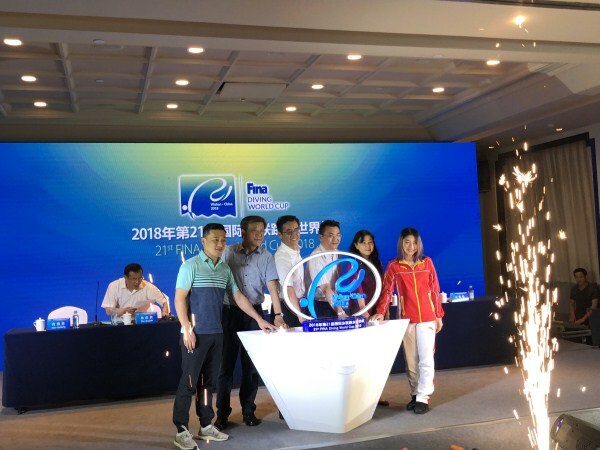 A press conference for the 21st FINA Diving World Cup 2018 was held at Liantou Peninsula Hotel in Wuhan Economic and Technological Development Zone (WHDZ), central China’s Hubei province, on May 16. 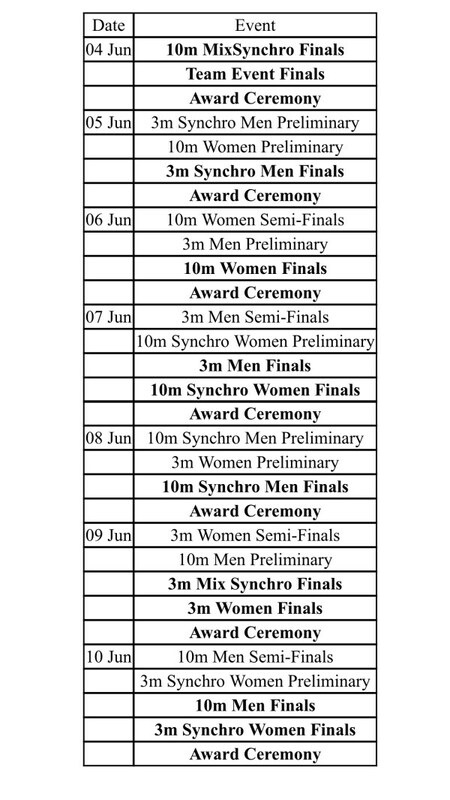 Competitions will be held at Wuhan Sports Center in WHDZ from June 4 to 10, with participation by competitors from 26 countries and regions. 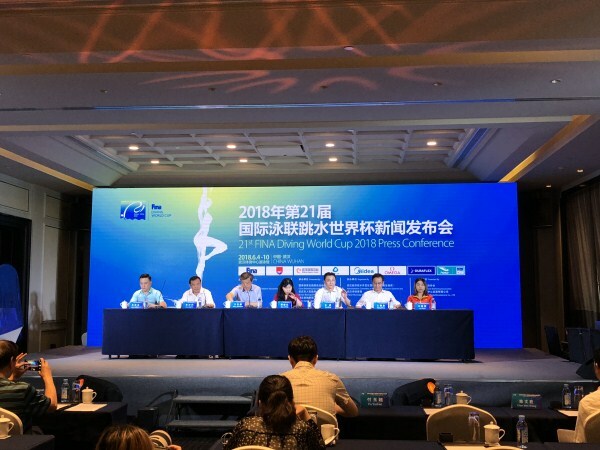 A total of 16 divers from the Chinese diving team will compete in the World Cup, including Olympic champions Chen Aisen, Shi Tingmao, Cao Yuan, and Ren Qian, according to the Chinese Swimming Association. The 2000 Sydney Olympic champion Xiao Hailiang and the 2016 Rio Olympic champion Liu Huixia attended the press conference. The press conference also revealed the emblem of the event.